York Wines is a small traditional wine merchant situated 10 miles North of York, specialising in wines which are carefully selected for quality and exclusivity and sold at competitive prices. We take pride in providing a first class service to all our customers. York Wines offers a specialist wholesale wine service with regular weekly deliveries from our own York Wines vans. There is a considerable discount to our retail prices - please ask for a full wholesale list. All our wines are sold on a SALE or RETURN basis, and can be returned and exchanged as required. Collection charge may apply. 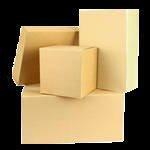 FREE Local Delivered Wholesale Service scheduled to fit with our Weekly Yorkshire delivery service. No minimum orders provided deliveries are scheduled weekly within our normal arranged delivery schedules. National 'Limited Delivery' Wholesale Service. Outside our 'local' delivery area we are able to offer the following - still offered free but with the following minimum order requirement. - via our own delivery service. - Courier next day delivery service. - Palletways Nationwide next day pallet delivery service.